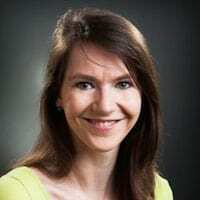 Claire Scharwatt is the Market Engagement Senior Manager for the Mobile Money for the Unbanked programme at the GSMA, and one of the authors of the 2014 State of the Industry Report on Mobile Financial Services. In markets where mobile money is available, 10 percent of mobile connections are now linked to a mobile money account, compared to 8 percent in December 2014, according to the GSMA. Across Sub-Saharan Africa, the growth is even starker: one in three mobile connections were linked to a mobile money account in December 2015, up from 22 percent in December 2014. A closer look at the numbers. The mobile financial services sector continued to expand in 2014, boosted by the creation of more enabling regulatory frameworks in several markets, according to the GSMA’s 2014 State of the Industry Report on mobile financial services. With 255 mobile money services in operation across 89 countries, mobile money services are now available in over 60 percent of developing markets. Mobile finance represents a tremendous opportunity for social impact, and an important commercial opportunity. GSMA has been collecting and analyzing mobile money data since 2010, and today it released its annual State of the Industry report, with key findings and insights on the growth of this vital sector.